When we set up our Christmas tree, we rearrange our living room. This year I broke apart the sectional and placed it at an angle. It was different than this photo shown above. Breaking apart the sectional actually gave us an extra seat. I was going to maintain the break with my square table in between, but it didn’t quite fit for every day living. So I reassembled it, but left the couch at an angle. This is a big deal for me. I’m probably the kid who never colored outside of the lines. I’m glad that I can refresh the floor plan a little bit because it really seemed optimum with our typical layout. But just a small change can breathe fresh life into a design. And this allows everyone to see the TV a little better. Especially me. I usually sit in the corner with my knitting bags and sat perpendicular to the TV. So this makes watching Downton a bit easier! I also moved our vintage crates behind the sofa to fill in some of the empty space. 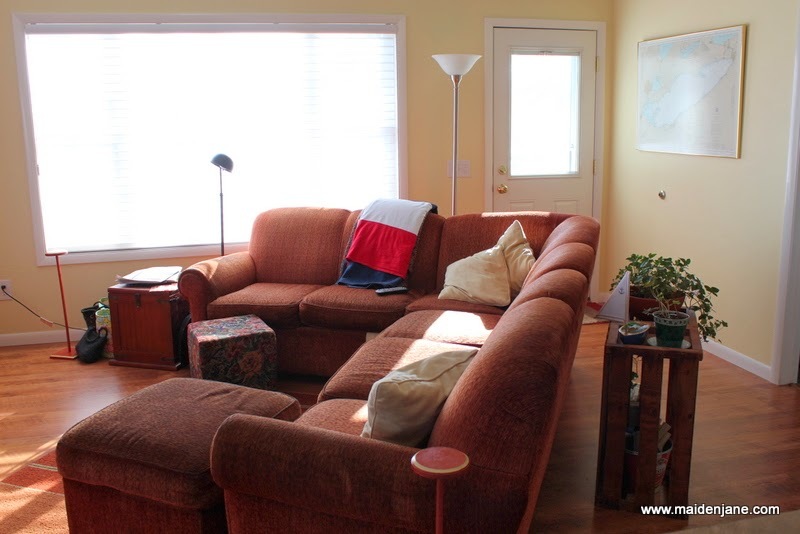 If we have a party, we can easily move the furniture around to make a floor plan more conducive to conversation. The kids were home for three days when school was supposed to start. So I feel like I’m a bit slow getting on top of my business life. 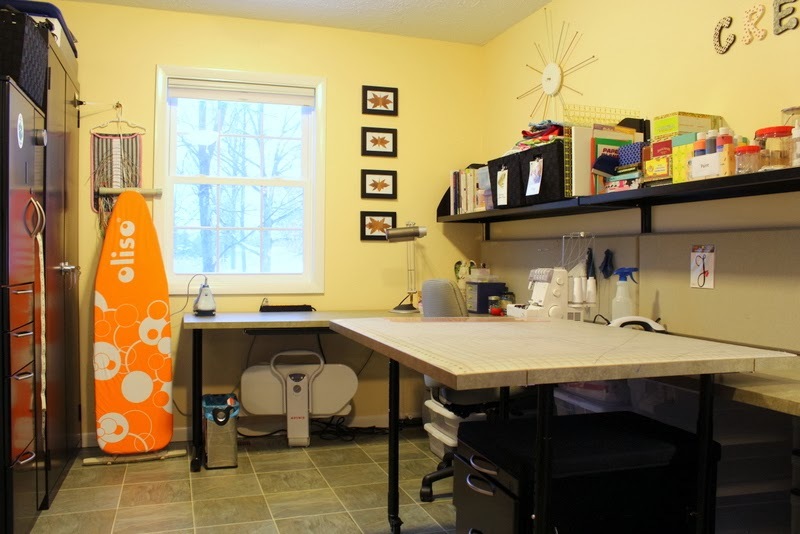 The girls helped me get started and I took a week to clean up and reorganize the studio. I’ll share more photos later, but what a great feeling. Annie emptied the black cabinet and cleared out a lot of stuff. I dusted and washed every surface. I also rearranged my sewing machines. My Janome sits near the window (not shown due to maintenance) and the serger on the side table. I had both of them near the window and I always had to slide one or the other out of the way. It feels good to have clean spaces and a fresh start in the New Year, doesn’t it?